"The Internet is full of offensive content, and social media is no different. Facebook is one of many social networking sites that tries to clean up our news-feeds so we can enjoy baby photos and funny videos without having to filter through the scariest the web has to offer." 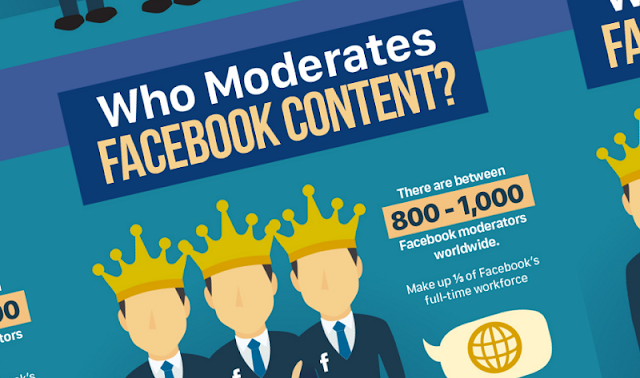 Take a look at this infographic, created by WhoIsHostingThis, and learn how is Facebook moderated and who moderates Facebook content.